The spirit of Robin Williams comes roaring back in this film about a kind artist who thinks he may be channelling the comic genius. The artist struggles with his sanity, but is inspired to create a hysterical and uplifting comedy show, which tours America. The making of the film "Being Robin" is the intended recipient of these funds. My relationship to the recipiant is that I am the facilitator and creator of the project. Funds for Distribution of the movie will be most likely handled by other entities outside the Go Fund Me fundraising. That is a post production goal. Two years ago I decided to tell my story in a film format. The character in the film who created the Robin Williams Tribute is based on me. To help people remember the brilliance of his life and work - not just the tragedy of how it ended, I started outlining a film that would tell my story in a compelling, funny , and heartfelt way. I decided to produce it myself because it is the only way to preserve the honesty and essence of the happenings. I have a responsability to you the doners , to the memory of Robin Williams and to the respect of his family, friends and fans to do this funding legitimately. So I am compelled to tell you where the funds are going and where they have been spent so far. In the course of this fundraising phase, I have set up a bank account that is for this movie only. When a donation is made , it is deposited into this account. It is not my money . It belongs to the production. And to you, the donors. The expenses I have dispersed since the beginning of the Go Fund Me are as follows. $2000 for the actual trailer shoot. $100 to purchase a hard drive to assist the edit. Hiring an marketing person . (Joanne Chen) to help create and launch the Go Fund Me site, and use social media to attract people. Printing costs for flyers used at performance events. $1, 300 --went to Kevin Baldwin , a playwrite who wrote the first two drafts of the screenplay. $2,800- for my time in writing the 3rd draft of the screenplay , three days of shooting and 5 days days of editing (I worked for two full days days at home on my own equipment before collaborating with Hop Top's editor). I have worked on this project for two years and have not kept any record of expenses or time. that I have put into this project until now..
Until recently I have not been paid for the timeI have put in to this film. It became important for me to draw a small amount as this film was the main job I had this winter with little other income. $5,017 -remains in the "Being Robin" account. Right now there is a plan to disburse $700 of that to advertise several fundraising performances I will be doing this spring . Also the film will be paying a proofreader to polish the final script but the amount has not been calculated yet. $25, 000 has been committed in a letter of intent by Gary Adelson . We agreed to not include that in the Go Fund Me campaign . It will become fluid once the movie has raised a total of $100,000. If any proof or recipts are needed , I will be happy to provide them. As I move into other arenas og fundraising including live performances,this number may increase and I will cease the Go Fund Me page. But for the $150,000 I am seeking for now here is the breakdown moving forward. $10, 000 - production rep. who will use the money to submit the film to festivals . $5,000 for a production manager. $2,000 for legal fees and processing. I have been trying to budget this film based on the realities of fundraising which is why the goal has fluctuated. But the reality is over one hundred of you have brought us this far. And for that , We will make the best film we can. I want to note that an LLC will be in place soon. 95 % of the doners ( thank you from the bottom of my heart you guys) are friends I have known over the years. Some are clients from my art business who have become friends. I believe two small donations came from two people that I do not know. $10 or more - will be thanked in the credits. You will also be able to take part in online private focus groups to view rough-cut scenes and voice your opinions. You will help make decisions on things like posters, music, and plot points. $25 or more - will get everything above plus download links to the digital poster and The Making of "Being Robin" video documentary. $50 or more - will get everything above plus the link to the digital version of the film after distribution. $100 or more - will get everything above plus a signed DVD of "Being Robin." Please encourage your family and friends to become part of this adventure! Then it felt like Robin himself asked me, "Let's get to work. I gotta get back to work!!!" I felt him bouncing around inside me, like a dog who's been cooped up, begging to go outside and play. Like a Genie trapped in a lamp. 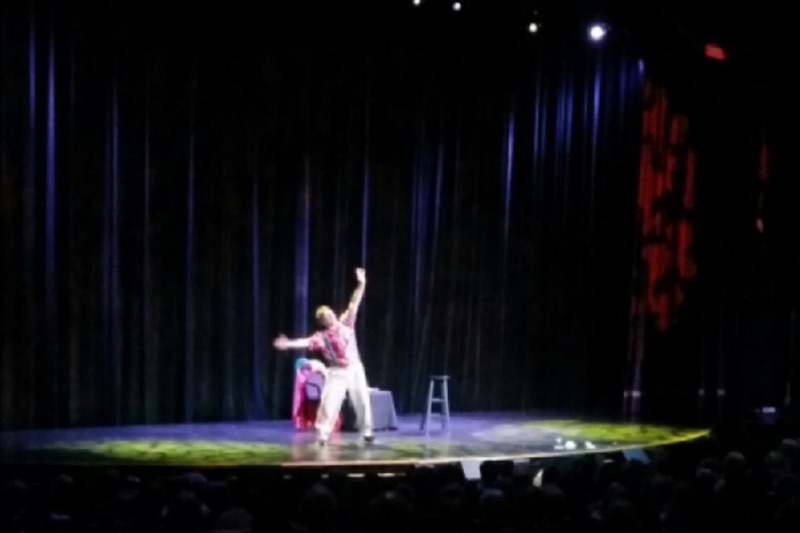 So, three years ago I embarked on a journey across America in a show, called "The Ultimate Robin Williams Tribute Experience." 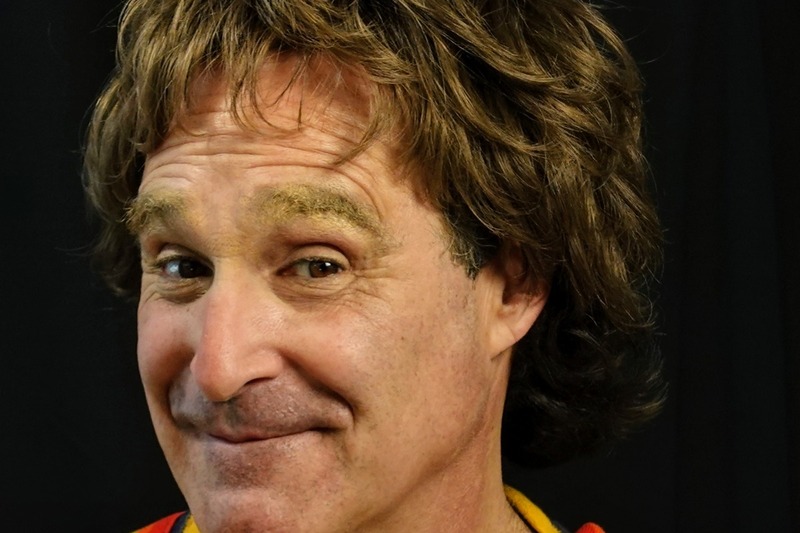 I was compelled to try to bring the ebullient comic genius of Robin back to life on stage. I wrote it in Robin's style. It has been a life-changing adventure. 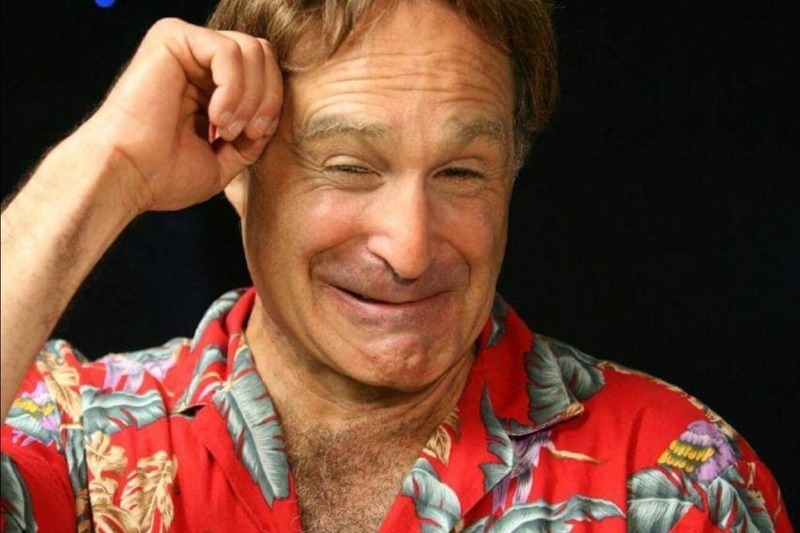 Many people have said they "felt Robin's presence in the theater." I am raising these funds to produce and star in the film "Being Robin," which is based on my personal story about what it takes to bring Robins brand of comic ingenuity back to to the stage, and the dramatic impact the show’s had on the audiences. 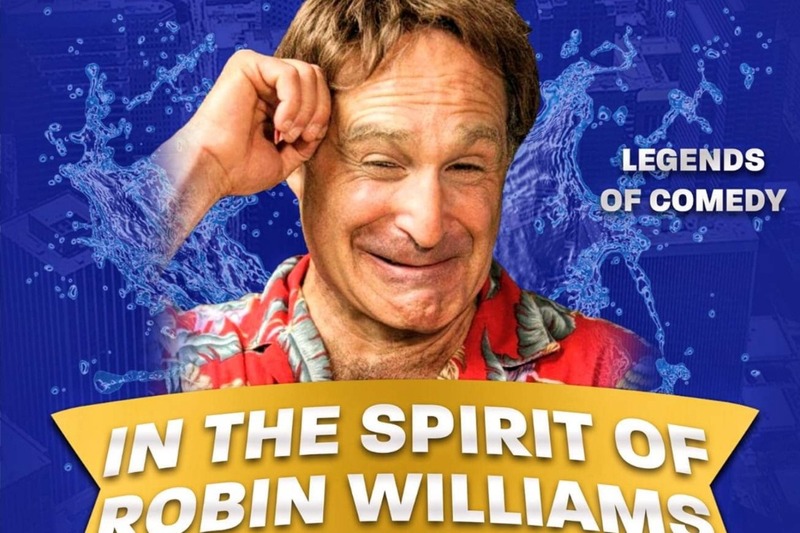 This ebullient film - with never-before-seen footage from the touring show - will be full of passion, warmth, and humor and, most of all, a celebration of Robin Williams. **A percentage of the proceeds from the film will go toward Robin’s various charities. 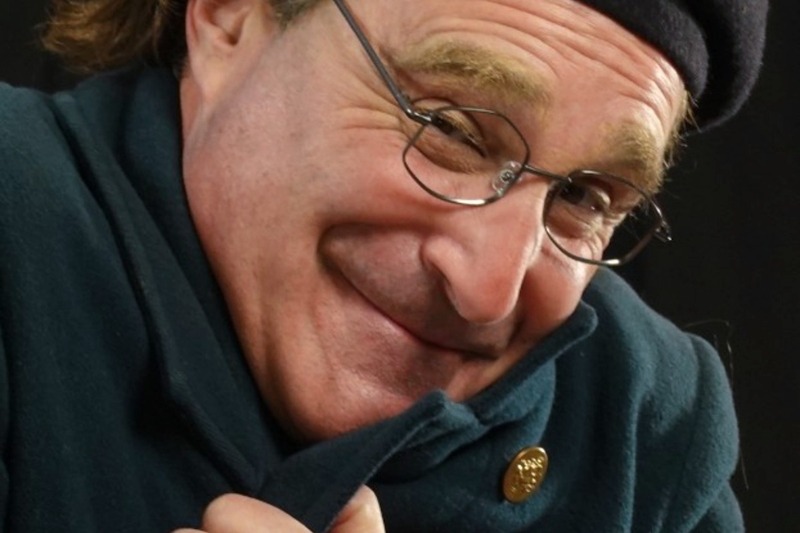 The film "Being Robin" is about how Robin comes roaring back to the comedy stage with the help of a sympathetic artist - a man who is scared of crowds, and has actually never set foot on stage, but feels the presence of Robin's spirit in and around him. Or is it all in his mind? Robin, through the artist and wild rehearsals in the woods, is able to return to the work he loves, and finish what he started here on earth, including mending some fences. The film is based on actual events surrounding the show. 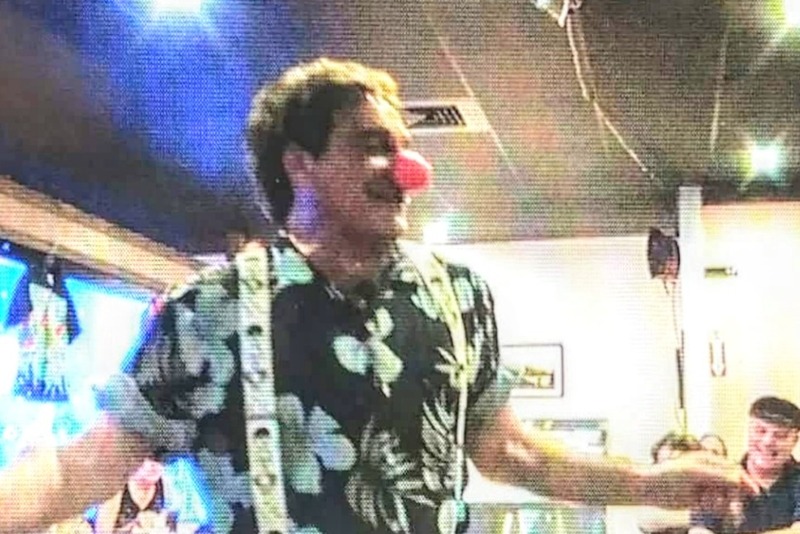 I will play the artist, Oliver , and the spirit of Robin Williams. There are also: Emelia Teddy's girlfriend who is trying to help Teddy keep his grip on reality. The Therapist, who is trying to figure out if this is a genuine miracle, a psychological syndrome, or a hoax. The Medium, who breaks out in hysterical laughter during the seance. And many more. I have included some stills (above) and bits of footage from the stage show. Below is a photo storyboard for a scene in "Being Robin." 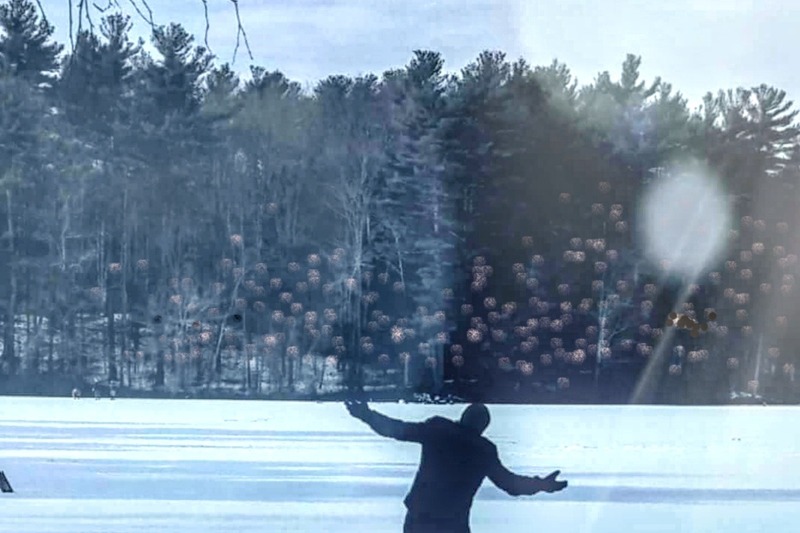 In it Teddy Baker is channeling Robin in the middle of a frozen lake while an imaginary audience looks on. To mount such a film production, it takes a village, and we are looking for committed fans like you to help make it happen. For contributing $10 or more, you will be thanked in the credits and become part of the focus group, having creative input into the production process. We have incentives for donors at different levels as well (see list above). Please make as generous a donation as you can. Please also share this donation page with your family, friends, and anyone else who would enjoy being part of this unique project. Thank you so much for your support! Together, we will make it happen! Roger Kabler is a true renaissance man. Along with being one of the finest comedy impressionists in the country, he is a talented actor and portrait artist. Roger has served as the spokesman for Zima in national television commercials. He was a regular on the last Carol Burnett series in 1991. He has also starred in his own NBC sitcom, Rhythm and Blues. Additionally, Roger wrote, produced, and starred in the award-winning movie, Who the Hell Is Bobby Roos? and has recently played to sold-out showrooms up and down the east coast. Variety magazine calls him: "an astounding impressionist." When not performing, Roger paints portraits of animals and enjoys the outdoors. Heya "BEING ROBIN" family. This is a big event coming up Sat April 20. If you're in the Boston Area. please join us. It will be a real celebration. If you attend this, you will automatically be invited to be in the movie Being Robin, in the Theatre Scene we are shooting in August. Click the link below for tickets. Thank you. Love , Roger. Hiya doners. We are getting ready to do a big fundraiser in Boston on April 20th at the Regent Theatre. Please help me push this event if you can. We are also working on a fundraiser for L.A. . BEING ROBIN will be represented at the Cannes Film Festival this May! Lonely Seal is our rep. We will be recutting the trailer a little to add a bit more clarity and laughs. I am getting close to completing the third draft of the script. So it will be ready for Cannes and beyond. I am also trying to contact Robin's family to get their blessing. We are still on track to begin shooting in late June. Hiya . We have finally given birth to a trailer - a baby "Being Robin" !!! It is time to help him become a real full length feature film . The money we raised was enough to take us this far. We need $150, 000 to do this film right. Please talk this up and share with everyone.